Tell me about your professional background. How long have you been in the field of ophthalmology and why did you choose this specialty? 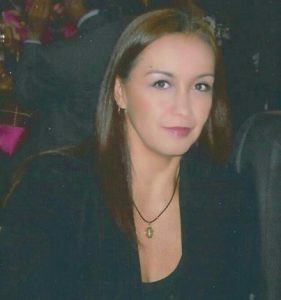 I have dedicated myself to ophthalmology for the past 20 years, I chose this specialty because it allowed me to combine clinical research with surgical procedures in a constantly evolving field; few medical and surgical specialties are technologically and scientifically advanced as it is ophthalmology. Direct contact with patients is something that I treasure very much in my profession. In your specialty, what are the hot topics that are moving fast and where can they lead? My specialty is glaucoma where research is constant since the quest to discover the best treatment options must be continuous such as the development of new forms of medication delivery, less invasive surgical techniques, implantation of new drainage devices, alternative medicines to lower intraocular pressure, neuroprotection, neurodegeneration, to name a few. The purpose of an earlier and more precise diagnosis stimulates the design of technological tools that ease diagnosis. How are the new technologies and new materials satisfying the demand of the ophthalmological sector in Mexico? Firstly, Mexico’s geographical location next to the United States facilitates the flow of latest information and scientific advances towards our country, also globalization has allowed us to acknowledge the European recent developments much faster than in the past, and the Mexican health system is very well structured so we can count on state-of-the-art technology and procedures in hospitals available even to low-income population. On the other hand, there are also many private clinics and private hospitals in Mexico for the population that can afford to pay these kind of services or that have medical insurance that support doctors in providing the best medical care to every patient. – Who is at high risk for glaucoma? And, what is the epidemiological scenario in Mexico? – What is the long-term efficacy and safety of the Ahmed glaucoma valvular implant and what are the conditions that affect surgical success in the different cases of secondary glaucoma? The Mexican population is mainly affected by Primary open-angle glaucoma. The risk factors for this type of glaucoma are well known and are basically due to ethnicity (Hispanics, after African Americans have a higher incidence of glaucoma), and the prevalence of Diabetes mellitus in our population increases the risk for glaucoma. 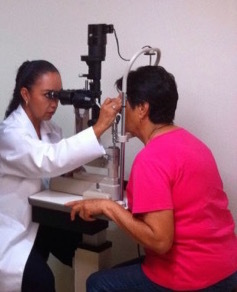 It is estimated that approximately 2.6 – 3 million people in Mexico have glaucoma and the number of people affected by glaucoma is believed to be on the rise, possibly because lately the condition is being detected earlier due to better technology, or maybe because risk health factors like obesity and sedentary behavior are now common in the Mexican population. For example, Mexico ranks the first country in the world for childhood obesity, so it is expected that all pathologies related to this type of health problem will increase. The Ahmed valve is a drainage device that has demonstrated a high success rate in our country. Advances have been made by simplifying the implant technique and thus a longer intraocular pressure control than that achieved with trabeculectomy. Factors that may influence the surgical success of secondary glaucomas are: patient’s age (at a younger age the possibility of failure is greater due to excessive scarring), prolonged exposure to antiglaucomatous agents and to other topical medications with preservatives that change bulbar conjunctiva, antiangiogenic or antimetabolites (such as mitomycin) substances that may influence wound healing, lack of follow- up in patients to ensure good post-surgical care, are just some issues that may lead to surgical failure in some of our patients.